Alrighty now, I sit to write a new blog post. It’s been a few months since I updated my meanderings. Sometimes I find my natal Mars in Taurus holds me back a little with its tendency toward gestation and contraction. It takes discipline to do most physical tasks as I tend to procrastinate. But then I am also surrounded by a constant swarm of family….of whom I love dearly. They are served first. But lest you think that I do too much, I must tell you that Lewis and I take pretty good care of our bodies and our minds. Our Spirit is served by taking the evenings and weekends off—for however we want to spend our time. On the professional front, Portland’s Tarot Symposium came off with precision and perfection, thanks to Jay and Jadzia Deforest’s talents and co-efforts. They are also launching an on-line/physical journal for Tarot, Lemonrand and other esoteric tools. 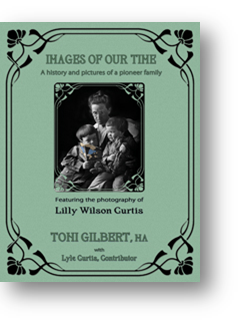 Look for its launch on the web site: You can find the offering on a Facebook page entitled The Cartomancer. You can also find the magazine on the main page Northwest Tarot Symposium. The event was a professional 6 of Wands put on by the Emperor and the Queen of Wands. Well done folks, well done. 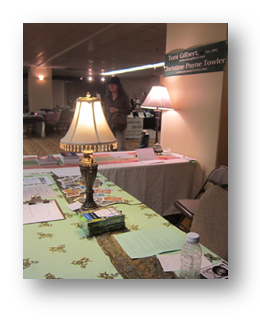 During the Symposium, Christine Payne Towler and I shared a booth and a room at the Monarch Hotel in Portland. We both presented a favorite topic having to do with Tarot. 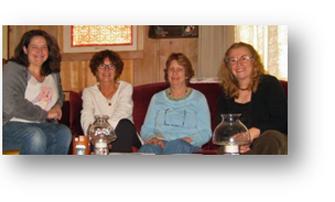 We had a superb time and met with a shared friend Bonnie Cehovet a well-known (in some circles) tarotist, author and writer. It was good to see James Wanless again. We usually see each other in passing like the proverbial ships in the night. I did purchase some baby Voyager decks at a really good price. Thank you James….It’s who ya know….. I saw a number of people I knew but didn’t get around to visit, maybe next time. Sacred Space Spiritual Center in Salem is having a Healing Solstice and yours truly has got dibs on a booth at the event. If you are in or near Salem, Oregon come on by and say hello. I will be giving sessions and you may be moved to partake. If you have an issue that you would like to explore at a deeper level, I’m may be the person you seek. The natural scenery at Breitenbush was calling my name. Some of my students wanted to gather together up there and so, I met them for dinner the first night and visited with them one-on-one the next day. It is always interesting getting together with receptive souls…magic happens. In October, I’ve signed on to do the RaSani Body Mind Spirit Holistic Fair in Albany Oregon. I will be presenting information about “Dream Interpretation” and will also have a booth where I will be doing sessions and selling my books: Messages from the Archetypes, Gaining Archetypal Vision, and Images of Our Time . All in all, life is a banquet of sights, smells, and any number of delights for the senses. The inner life works its magic and weaves together hints of greater cosmic understanding and insights for us to better understand the workings of the world. Time passes as morning becomes the afternoon, summer’s breezes flow through my office-temple. A dog barks in the distance…..It’s all good.